This is designed for service companies and vendors and is not suited to tours, festivals and events. For those businesses that do not have health and safety management or only poor health and safety management systems in place we advise an initial review of your organisations Health and Safety Policy, Risk Assessments, Management Systems and procedures to find out what you have in place and what is required so you can be compliant, this will usually mean a visit to your premises for an inspection, and to discuss your needs, this is done after we have reviewed your documentation (if any). Do you have an organisational structure in place and arrangements to make sure what you say you will do in fact gets done, ie a management structure and system for occupational health and safety? Competent Person Package. An essential service for every new business and any non-compliant business for only £15 a month! Every employer is required under law to appoint a Competent Person (or Competent Persons) to assist them to meet their legal health and safety obligations. This is a requirement under the Management of Health & safety regulations 1999. This means an employer must appoint someone competent to provide sound advice on all matters of health and safety. The Competent Person is your health and safety guide, your advisor and mentor, to help you achieve compliance, but not there to do it all for you. The appointed Competent Person may be an internal appointment supported by external expertise or an external appointment. In either case, as a professional health and safety consultant, we can provide a competent person package so that you are able to meet this most fundamental obligation. 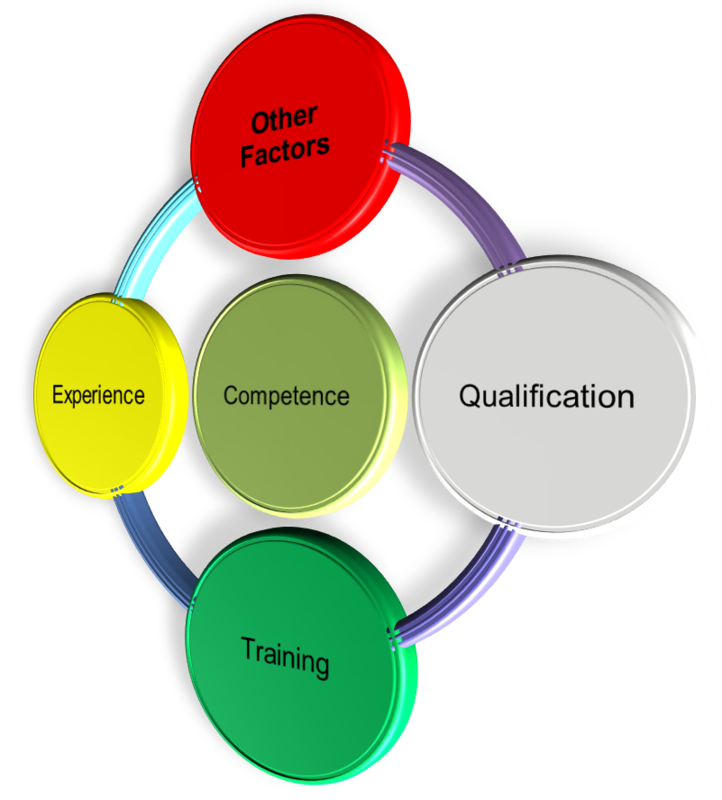 A person shall be regarded as occupationally competent where he or she has sufficient training, qualification and experience of their role to meet the national occupational standards relevant to the tasks within their identified role. This includes knowing the limits of personal knowledge, skills and experience. THIS APPLIES TO ALL SKILLS, TRADES, STAFF & INDUSTRIES AND ESPECIALLY TO SAFETY CRITICAL ROLES. With the Stagesafe, Competent Person Package, the employer appoints STAGESAFE to act as their competent person. This may be a very suitable option for small businesses who do not have the resources, or who do not have someone sufficient competent in health and safety, to make an internal appointment. You will be able to name your competent Chartered Health and Safety Practitioner for your organisation's accreditation's and to satisfy the requirements of the Management of Health and Safety at Work Regulations 1999. Special price of only £15 per month plus VAT. See our list of fees for details and booking, click here now!